You know how keenly we follow celebrity wedding here at Bling sparkle right? This isnt a wedding but actually a private engagement ceremony. south Star Nagarjuna's son Akhil Akkineni got engaged to Fashion designer Shriya Bhupal. If you are like Akhil who? Shriya who? 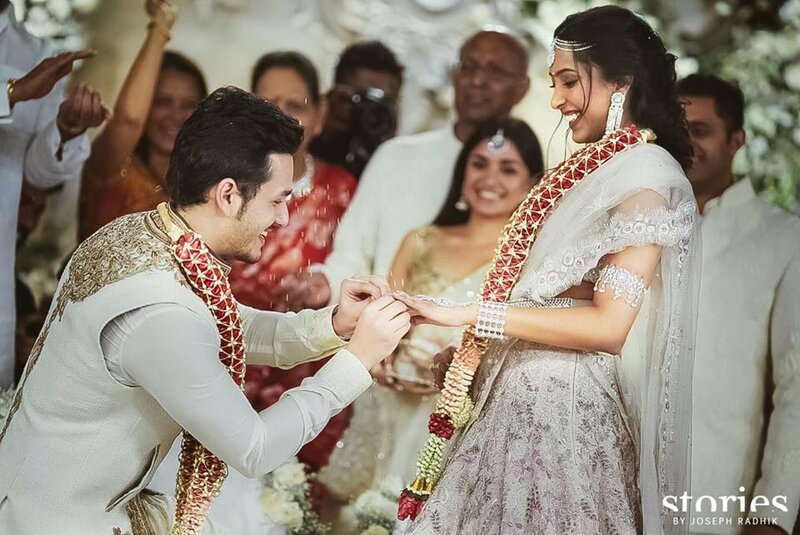 Well Iam in the same boat but I happen to follow South actress Samantha's fashion closely and I spotted her in a sabyasachi saree look at this engagemnt and I had to delve in deeper to find all details about this now engaged couple. 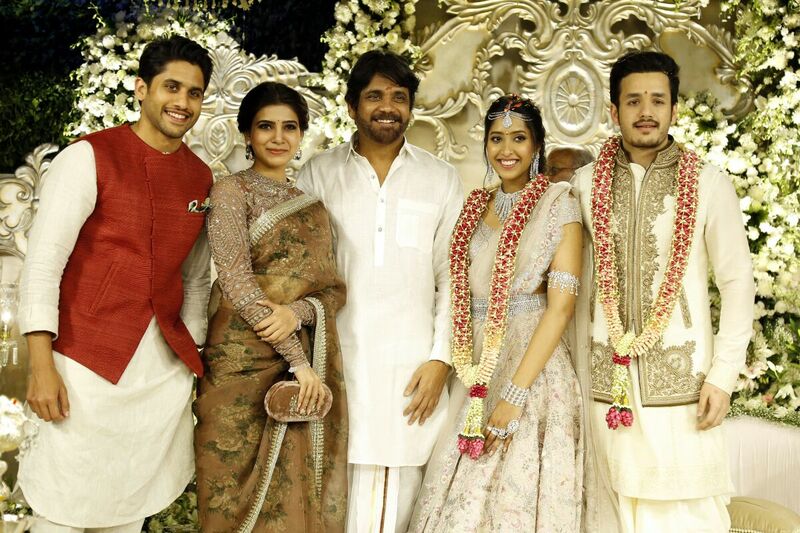 Nagarjuna is a popular Telugu hero and I have also seen some of his movies (with subtitles!) . 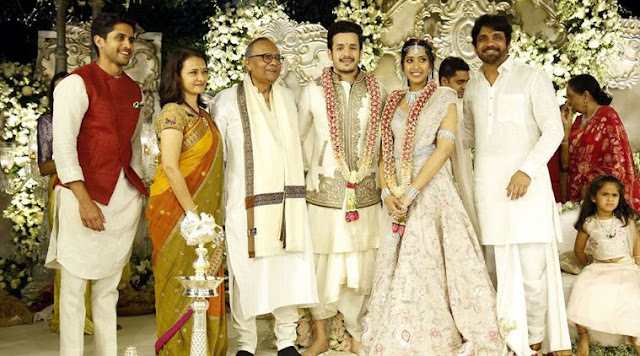 Nagarjuna has two sons with his actress wife Amala . The elder son also a telugu star, Naga Chaitanya is in a relationship with Samantha Ruth Prabhu and younger one just got engaged. Shriya Bhupal is granddaughter of business tycoon GVK Reddy and has her own fashion label Shriya som. 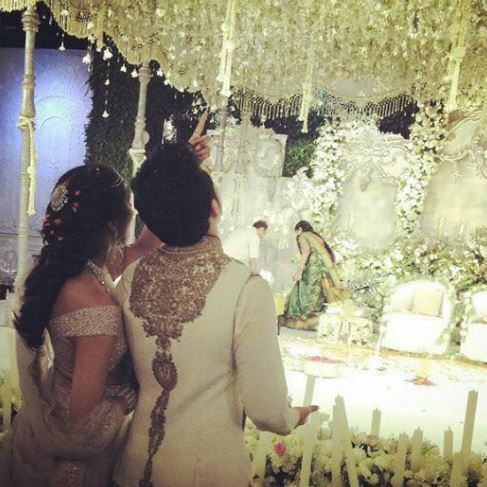 Shriya wore a fusion lehenga saree for her engagement which she paired with diamond jewellery. Necklace, earrings, matha patti , arm band and a bracelet were accesories which completed Shriya Bhupals look. The buzz is that Akhil and Shriya will have a destination wedding in Italy in May 2017. 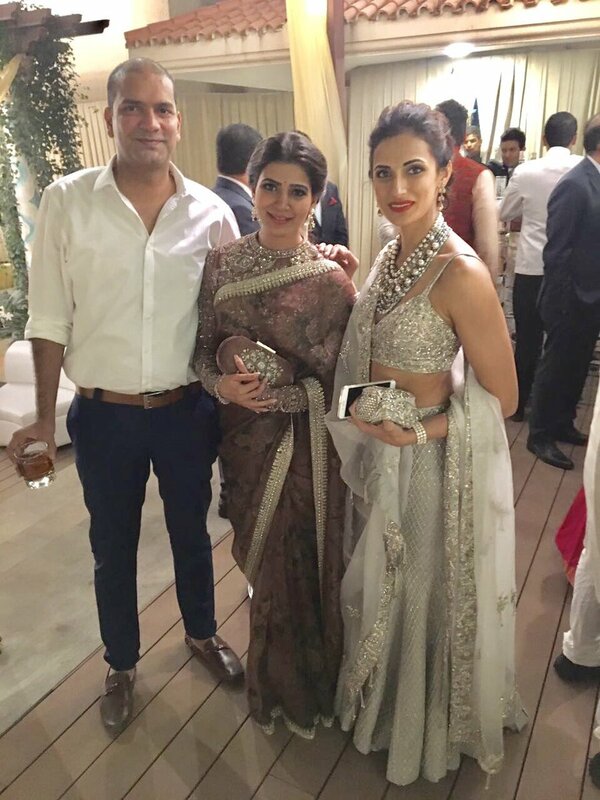 Samantha wore a sabyasachi saree with a full sleeve blouse and added a velvet clutch to her look. 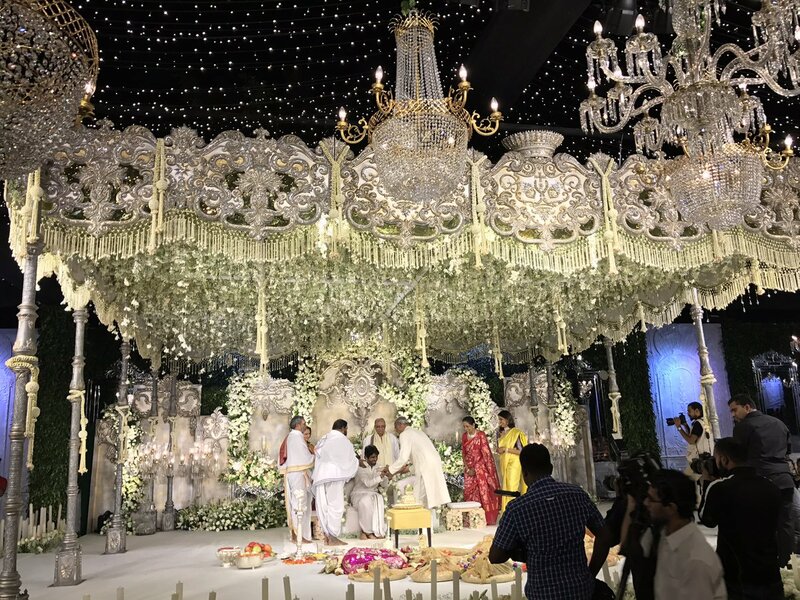 What do you think of the choice of subtle colours by Shriya for her engagement? Would you wear white or pale colours like celebrities for festive occasions?